Coraline has to find her parents....she ends up finding them in a small snow globe, and that is how she tricks her "other mother." There is no snow globe containing her real parents. Haymitch, Miss Spink and Miss Forcible's dog is attacked by the other mother's hand. The other mother's hand never attacks anything. no doll identical to her parents so the other mother can watch them. 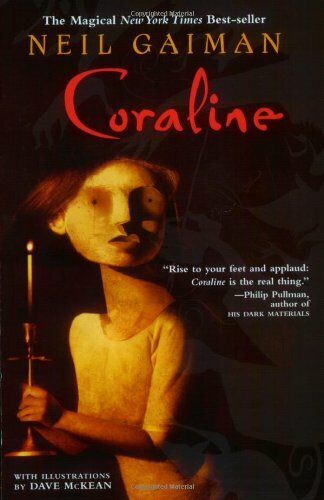 there's a doll similar to Coraline's where the Other Mother watches them and guides them to the door. The ghost children ask Coraline to help find their souls. They ask her to help find their eyes. Coraline has black hair. She has blue hair.